A day late, but I received it today. Welcome back Ichiro, the Mariners’ fans are happy you are back where you belong. Last October I submitted a redemption for a 2015-16 Gala Cinematic Signatures Crimson Steve Kerr autograph, the card was live at the time, so I figured it would be a quick turnaround but I was wrong. Two weeks ago, I contacted a Panini CSR and was told that the card was being updated and would ship out within a month. I finally got the email saying my redemption request was updated and that my item was shipping. 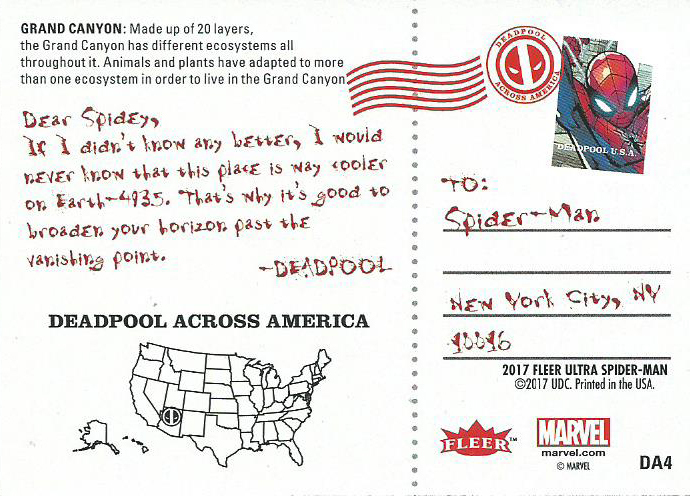 I just checked, and the card was shipped two days ago, got in to Phoenix yesterday and then left Phoenix this morning, so I should get it tomorrow. I am excited, this is a great looking card and will be a key card in my Kerr PC. 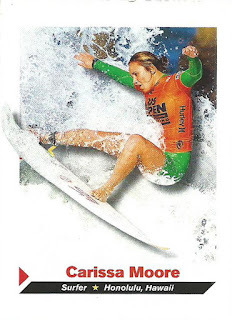 Last week I won the auction for this 2010-11 SI for Kids Cariss Moore card, the final price was .30 cents with free shipping, the seller lost .19 cents on this auction. I have never won an auction like this but I have seen people win them before and I just can not wrap my head around why sellers do this time and time again where they loose money on these types of auctions. Monday Question Day- Who Is Your Choice? 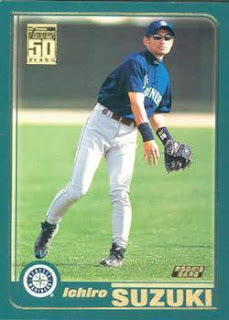 Let’s say you have a $100 card budget to pick up one RC of a unique favorite player, not a PC or minor PC, who would it be? 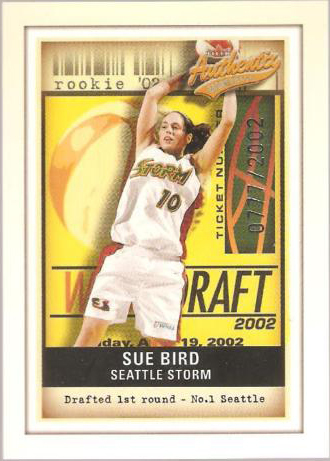 For me it would be one of two cards; 2002 Fleer Ultra Sue Bird #101 or 2002 Fleer Authentix Sue Bird #101. I would lean more towards the Ultra card because I prefer the design and green background. 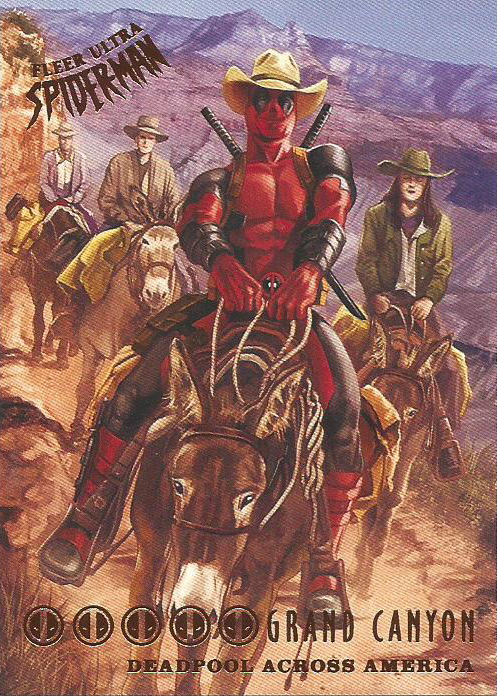 They each run around $50-75 for raw copies with graded copies running significantly higher. These cards are part of my COMC Black Friday order, I figured it would be nice to post cards over the year from that order. 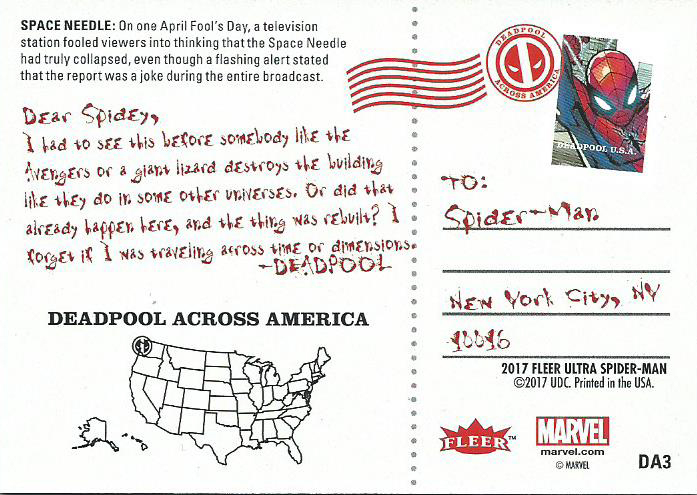 These two cards are part of the Deadpool Across America insert that was included in the 20017 Fleer Ultra Spider-Man release. 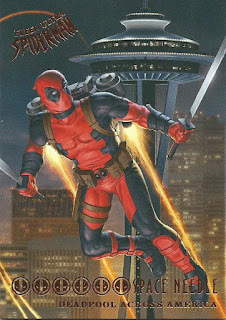 There are 10 cards in the set and show Deadpool in famous locations around the country and since I spent half my life in Seattle and half my life in Arizona I wanted the Seattle Space Needle and Grand Canyon cards for my collection. A one card post today. I came across this metal card and I really liked the style that the artist, Beth Sotelo, used with Darth Vader so I picked it up. 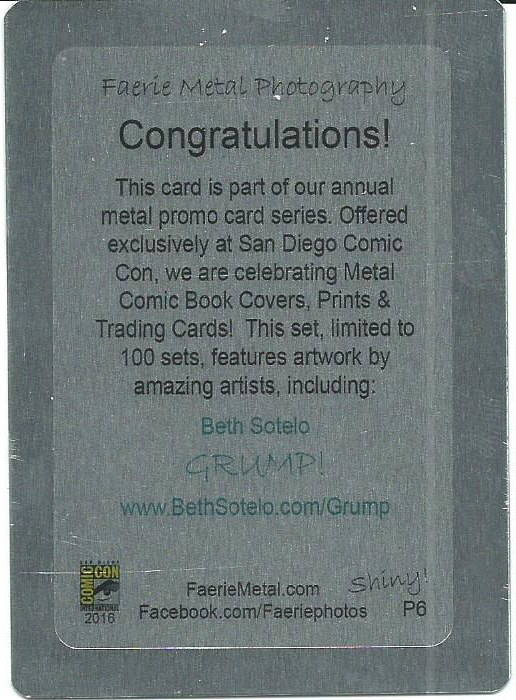 The card was a SDCC exclusive and was created by Faerie Metal, who is well known for their very cool metal cards. Monday Question Day- Playing Favorites? I am going to put you out on a limb and ask which is your favorite card? When you have a collection that is large, I know some people that have well over 1 million cards, it is like asking which is your favorite kid. 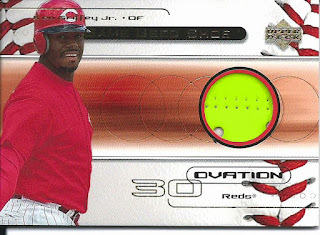 I have around 20,000 cards with just under 3,000 being Griffey cards and it is difficult so I can just imagine what it is like for those with huge collections. After some thoughtful consideration, and without my White Whale no longer in the running, I am selecting my 2000 Ovation Japanese Ken Griffey Jr #S-KG. I bought this card in either 2001 or 2002 and I paid $25 for it and this is one of those cards that just does not show up any more. There is a Game Ball relic and a Game Ball & Show dual relic also. My first celebrity crush was Tatum O’Neal. The Bad News Bears came out in 1976, but I didn’t see it until I was around 7 or 8 years old (1979-80) but from that moment on I was sweet on her. When Panini did the Bad News Bears cards for the 2013 Golden Age release I was hoping to come across one of her autographs but those are the most expensive of the Bad News Bears autographs. I started to look at other options, Panini included her autographs in their 2014 Golden Age and Leaf included her autographs in their 2015 Pop Century release and these run cheaper than the Bad News Bears auto so I picked up her 2015 Pop Century Star Power Metal Blue autograph last year. I still hope to pick up her Bad News Bears autograph someday but I am very happy for now. 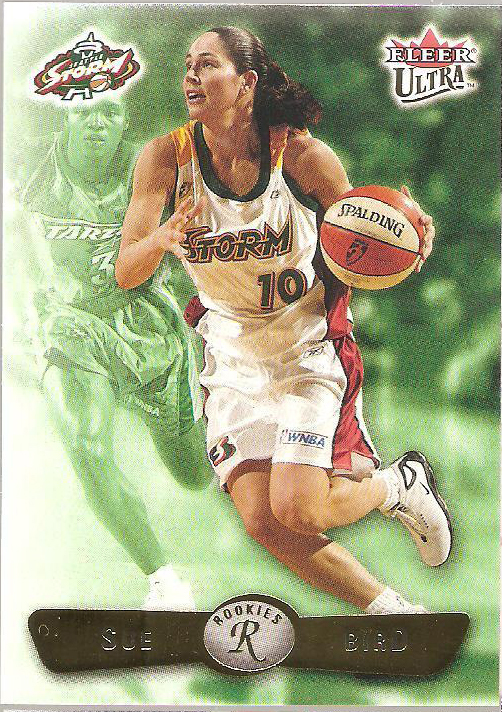 It would have been cool if Panini did a variation for those cards where the actors signed as their characters, I think it would be neat to have an Amanda Whurlitzer autograph in my collection. 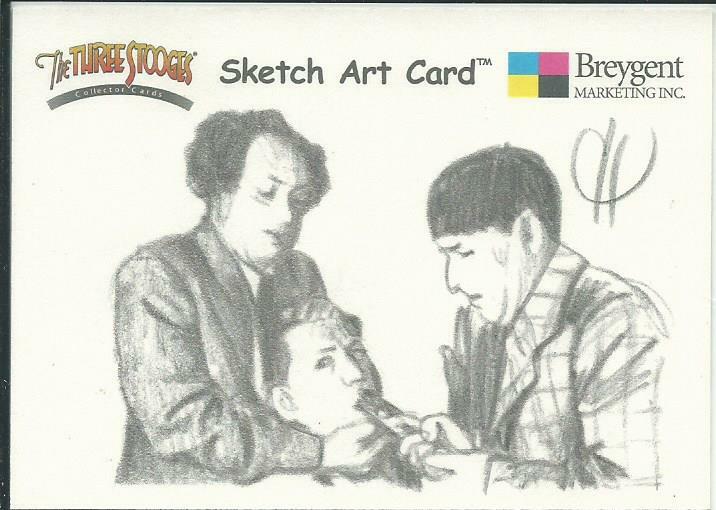 This month’s Art Gallery display is from Chris Henderson and is from the 2005 Breygent Three Stooges release. I really enjoy Breygent’s sets, they had the licensing from a number of popular shows/movies and they always put out an amazing product. Breygent seems to have fallen off of the map so I would expect we will not see any future products from them. Ever since I was a kid I loved slapstick comedy and the Three Stooges were masters of their art. What really drove me to adding this card to my collection is that this is a classic scene from the I Can Hardly Wait short and includes the original Stooges. Not that I have anything against Shemp, Joe Besser or Joe DeRita but Curly is the man. 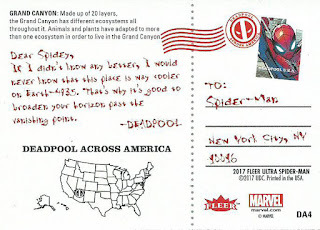 I have not done a follow up to any previous Monday Question Day posts, but yesterday’s post got a nice collection (no pun intended) of responses. We are card collectors but there is so much more out there and plenty of us enjoy the chase and I think through some of these we have a deep connection with our younger selves. If you think about it, most of us grew up with toys that we loved, and that idea carried on to our adult years. I really enjoyed reading through everyone’s response and as I did I nodded my head in agreement with most of the collections because at some point in my life I had some of these nostalgic items. I may not have collected something like matchbooks but there were times that I had a small collection of them. Not a major focus, but I did acquire them with the intent of keeping them for memories. The same could be said for most of the lists. 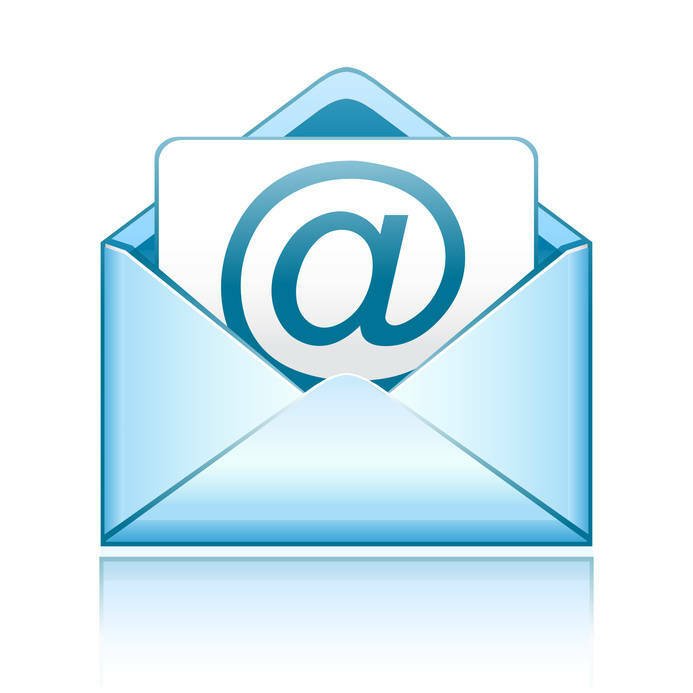 I appreciate everyone’s responses, I like to hear what is shared from like minding people. Monday Question Day- What Else? Do you collect other items besides cards? 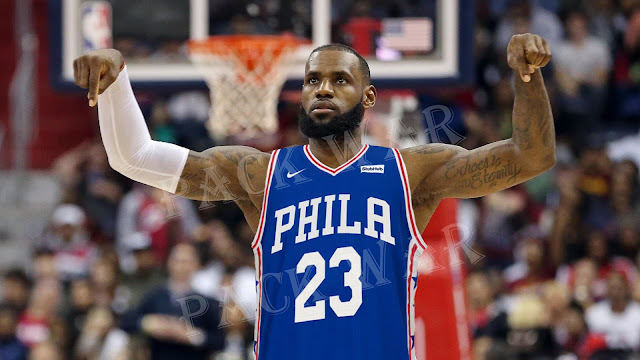 Currently the Cleveland Cavaliers are sitting in the #3 spot with 18 games left for them, so they will make the playoffs and should be facing the 76ers in the first round (based off of the current standings). But bigger news is the state of the Cavs, they are no longer cohesive like they once were. Gone is Kyrie Irving, Kevin Love has opened up about his mental health (anxiety) and soon LeBron James may be up for The Decision II. It is rumored that LeBron has whittled his selection down to four teams, Cavs, Lakers, 76ers and Rockets. There is no question that any team he is on becomes significantly better and they become an automatic contender for the Finals, but which team makes the best sense? Personally, I feel that if he does leave the Cavs I would love to see him play in Philadelphia, the “Trust the process” has seemed to work and adding LeBron would put them over the top. Remember, you saw it here first, my prediction is he heads to Philly. As part of my organization process I am trying to move my mini-PCs in to one box together instead of keeping them in larger storage boxes and separated. This way I can them all in a single 1500-ct box and everything is there. So I grabbed a empty box I had sitting in my closet and have been using that and hadn’t noticed I had writing on the side. Apparently I have had this box for 25 years, back in the early 90s I was a set builder this was my 1993-94 Skybox & UD basketball box. Surprisingly after 25 years and 9 moves this box is still in great shape. 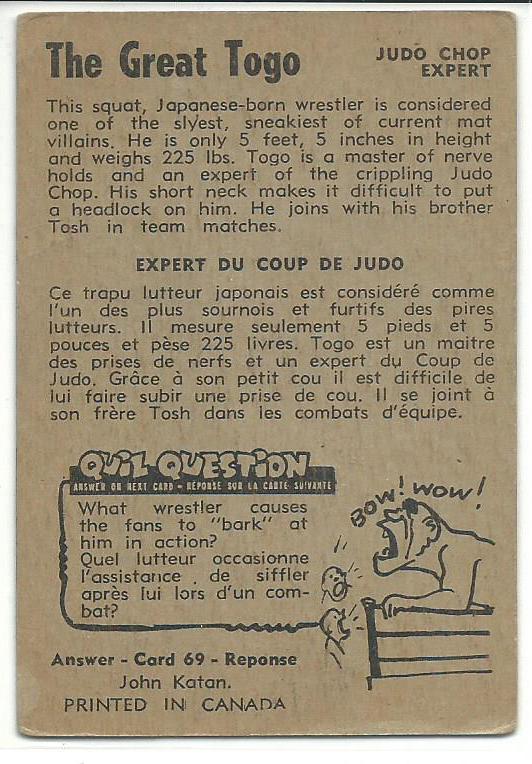 This month’s VCoM comes from the 1954-55 Parkhurst Wrestling set and is the prequel of the Great Togo card I posted in last December’s VCoM. This set is a little smaller than the follow up 1955-56 Parkhurst Wrestling set, this one is 75 cards. 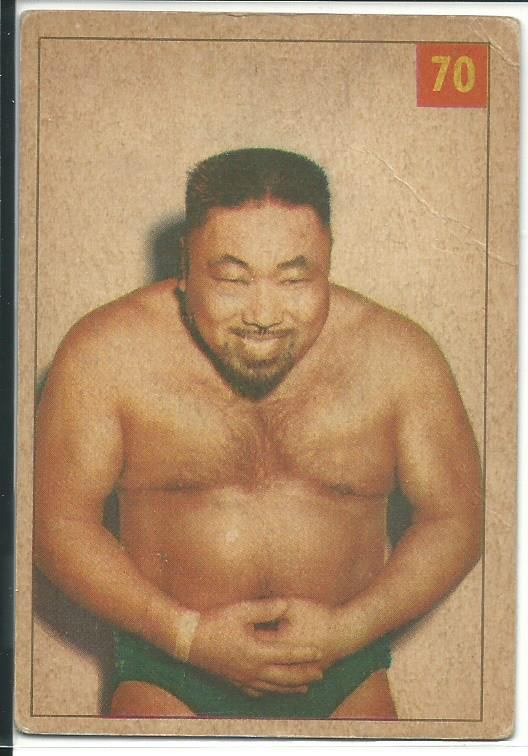 This card is The Great Togo’s, aka Harold Sakata, aka Tosh Togo, rookie card and as you may have noticed, it is the exact same card as his 1955-56 Parkie card but without the rising sun background. Really the 1954-55 & 1955-56 are nearly identical on the front. The backs were different but the same, if that makes any sense. 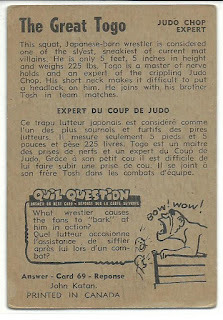 The 1954-55 backs are vertical with black ink and a small comic while the 1955-56 backs were horizontal, green ink and no comic. 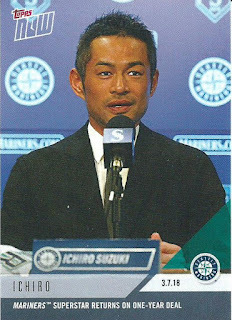 Early reports out of Seattle is that the Mariners and Ichiro are close to completing a one year deal and with the injury of Mariners' outfielder Ben Gamel the deal makes sense. 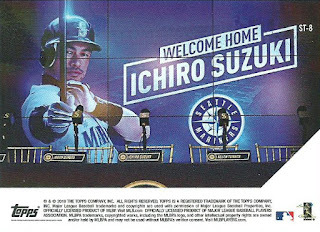 I am excited about this and cant wait to see him prowling around the outfield in the Pacific Northwest where he belongs. There is a story in the Sports Card Daily that is a perfect example of a scammer ripping off a naïve collector. The scammer has been grabbed and is awaiting trial, but as I re-read the story something additional caught my attention. What happened is Thomas Martin Beatty Jr. from Omaha, Nebraska was selling four cards; a 1952 Topps Mantle, a 1957 Topps Mantle, a 1957-58 Topps Bill Russell and a 1965 Topps Joe Namath, on eBay last year and eventually made a deal with a buyer out of Massachusetts last August for $117,500 for all four cards. The buyer paid through wire transfer and Beatty sent the cards through the USPS. This is information that is all fact. Now on to the troubling part. 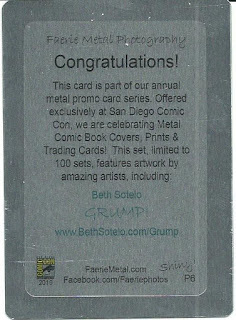 In the end it turned out that all four cards were reprints and Beatty was knowingly selling them as original and graded cards. 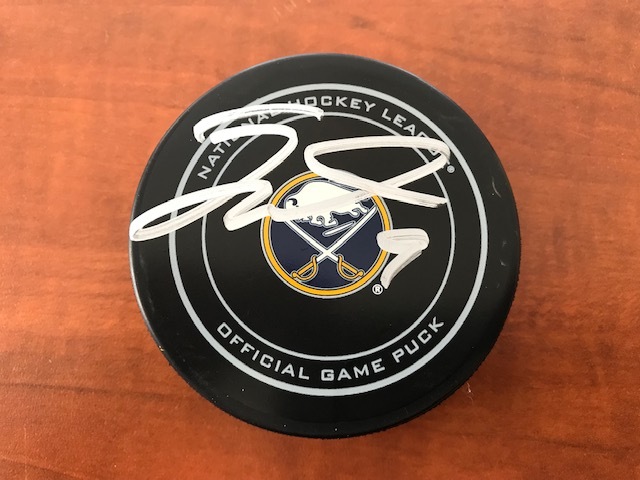 The US Attorney’s office got involved and an investigation was done and during the investigation the authorities found that Beatty had more than $2,000 in counterfeit bills in his home. He has been charged with mail fraud, wire fraud, two counts of money laundering and possession of counterfeit money. I do not know how the US Attorney's office got involved. 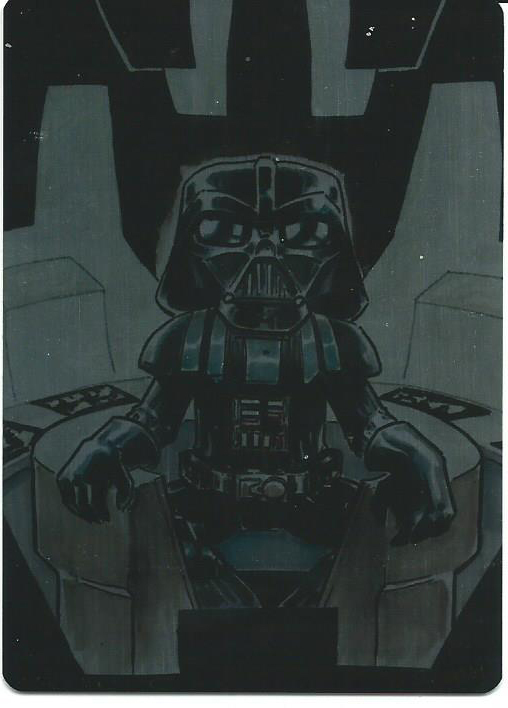 I have two questions; first, how as it that the buyer purchased original and graded cards without knowing? 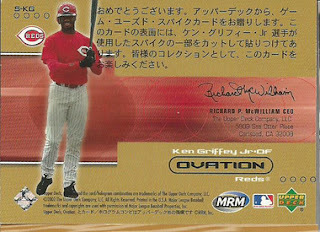 Unless the grading company was a fly by night (looking at you GMA) who couldn’t tell the difference or the flips from a PSA or BGS was fake. If I were spending $117k on four graded cards you can be certain I am going to verify each cert # to make sure it is listed, and it is the same card that PSA or BGS has in their registry. Second, how long do you think he will get? I looked in to it and this guy is going to do serious time all for selling reprint cards as original cards. +1 if you got the Office Space reference in the title. In Sesame Street history there has never been anyone cooler than Dr. J hanging out in a trash can with Oscar the Grouch 37 years ago.